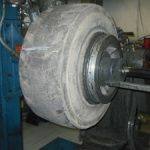 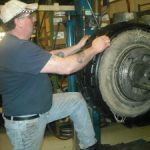 OTR Tire Retreading at Pete’s Tire Barns. 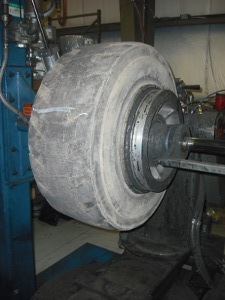 We are one of the few facilities that can retread your OTR, Skid Steer and foam filled tires. 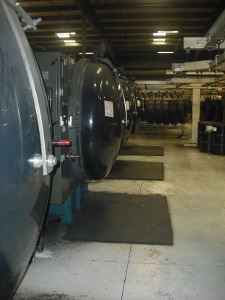 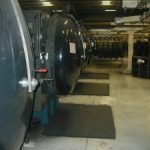 The casing is inflated to operational pressure. 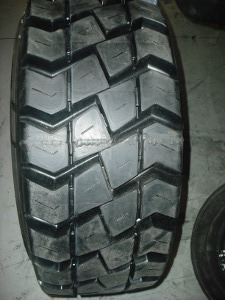 The process removes the worn tread surface, true’s up the roundness and prepares the surface for a new tread. 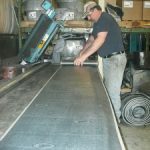 In a multi-step process, an uncured bonding layer is hand laid onto the back of the tread surface, all skives are filled, and the shoulders are stripped. 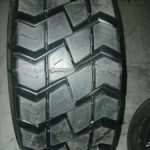 The tread is now ready to be applies to the casing. 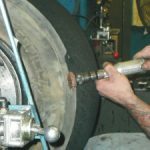 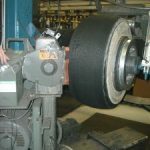 A highly trained and skilled retread technician hand applies a new tread so that it is straight, centered on the casing, and the end splices match. 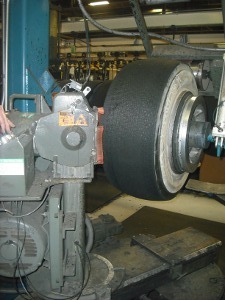 The freshly cured tire is given a final inspection for quality. 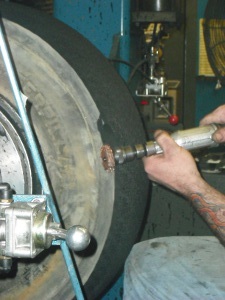 Then the tires sidewalls are painted to make the tire look like new. 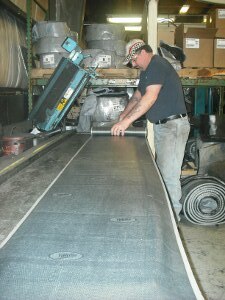 The final step is the application of a finished goods bar-code label.